The Morcom Rose Garden has been the pride and joy of Oakland since its inception while also playing a vital part of the fauna and beauty of Oakland. The Morcom Rose Garden has become a symbol of natural beauty and was constructed to help improve the natural surroundings. The garden is picturesque setting sure to captivate your hearts and leave you wanting to come back again and again. 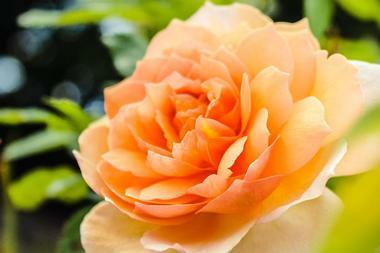 One of the most notable features of the garden is that it only features one kind of flower – the beautiful rose. 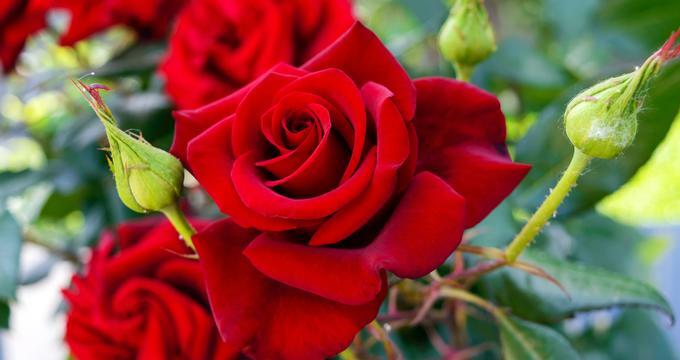 But not just one type of rose, almost every single kind of rose known to exist. The Morcom Rose Garden is the hub for botanical studies and has piqued the interest of numerous people who have walked through this beautiful garden. The garden is home to many different kinds of species from all over the world. Over the years, the garden has grown exponentially along with the community around it. The city makes an active effort in the preservation of this beautiful space and has worked hard to maintain the upkeep of the garden in conjunction with its fellow citizens. A visit to this garden is bound to be extremely fruitful to anyone who appreciates the beauty of nature. The garden offers so much regarding just enjoying the outdoors that it gives people an array of things to do while at the Morcom Rose Garden. Visitors can enjoy a beautiful, lovely picnic on the grass in any one of the grounds of the garden. The Morcom Rose Garden is also known to attract a wide variety of birds from different species. For those who enjoy bird watching, The Morcom Rose Garden is a brilliant site to watch them in their natural form, as they too enjoy the beauty of the Morcom Rose Garden. The garden is a place of utter peace and tranquility and can be lovely for someone even if they just want to go and spend a quiet day amidst the beauty of nature in all its glory. The Morcom Rose Garden takes pride in its looks, but for something this beautiful to be kept well, it also needs to be maintained properly. The Morcom Rose Garden encourages people in the community to come out and help maintain the garden and preserve its natural beauty. Since the Morcom Rose Garden is not run by a private organization and belongs to everyone in the community, the city council believes that it is right to ask people to volunteer to keep this place in good condition. There are some tasks that volunteers can help out with at the Morcom Rose Garden. Numerous gardening jobs have to be undertaken to maintain the place. The jobs range from de-weeding the gardens to make sure the roses all grow healthy, to the general clean-up of the backyard to making sure that the Morcom Rose Garden is always in pristine condition. For people who are not well versed in the world of gardening and have never really gotten their hands dirty, no problem because the Morcom Rose Garden can help you with that and even provides training. People who volunteer have a list of things that they need to keep in mind before they start working at the garden. A look at their website is a good place to start if you plan to help out in this beautiful space. Also, volunteers are required to undertake a short training session to show them the ways of the garden and how they can help keep this beautiful place in its natural state. If you want to spend a quiet day in the midst of nature, the Morcom Rose Garden is the place to be. There’s no restriction on admission into the garden and it is open to all, provided you follow the timings that are listed. The place is perfect for people who want to spend a nice, quiet day in an absolutely beautiful setting.